RIO AMAZON Quebra Pedra is a small annual plant found in the Amazon rainforest and other tropical areas. It is also known by its Spanish name Chanca Piedra, which means stone breaker. Shredded Quebra Pedra (Phyllanthus niruri). 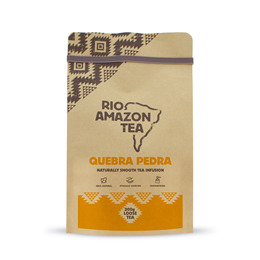 Put 3 heaped teaspoons (5g) of Quebra Pedra into a saucepan with 600ml (3 cups) of cold water. Bring to the boil, simmer for 10 minutes, strain and serve. Sugar or honey may be added as desired. Consume whole mixture throughout the day. Mixture may be taken either cold or hot. 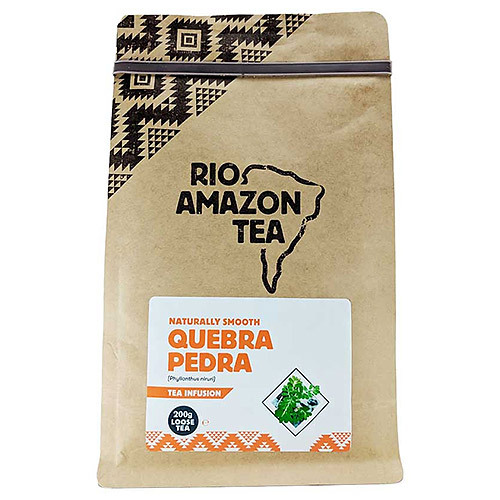 Below are reviews of RIO AMAZON Quebra Pedra Loose Tea - 200g Powder by bodykind customers. If you have tried this product we'd love to hear what you think so please leave a review.